With its unique modular and adaptable design, the P320 gives you the freedom you need and the features you deserve. Serialized Stainless Steel Frame: Unique design gives you the freedom to change calibers, sizes and fit, quickly and easily. Exceptional Trigger: A smooth, crisp trigger pull and short tactile reset deliver heightened accuracy. From calibers, to pistol size, to the grip fit best suited for the shooter, the P320 is the most adaptable pistol available today. Choose Size: Provides the modularity to switch between multiple sizes. Interchangeable Grip Modules: Small, medium or large modules provide optimal grip circumference and access to controls for any hand size. Convertible Calibers: Convert to 9mm, .357SIG, or .40S&W. Integrated M1913 Accessory Rail: True Mil-std. M1913 rail ensures stability and peak performance with lights, lasers and other accessories. 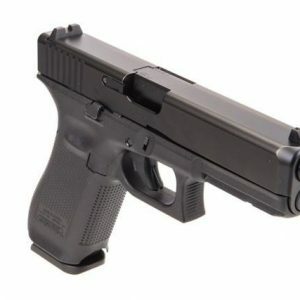 Multiple Pistol Sizes: Slide assemblies and grip modules are available in full-size, compact and subcompact. We’ve designed safety elements into every necessary feature on this pistol. From the trigger, to the striker and even the magazine, the P320 won’t fire unless you want it to. Striker Safety: Prevents the striker from releasing unless the trigger is pulled. Disconnect Safety: Prevents the pistol from firing out of battery. Licensed gun retailer in Newmarket, Ontario, Canada.